Massimo Stanzione, one of the most outstanding personalities in the Neapolitan artistic scene. 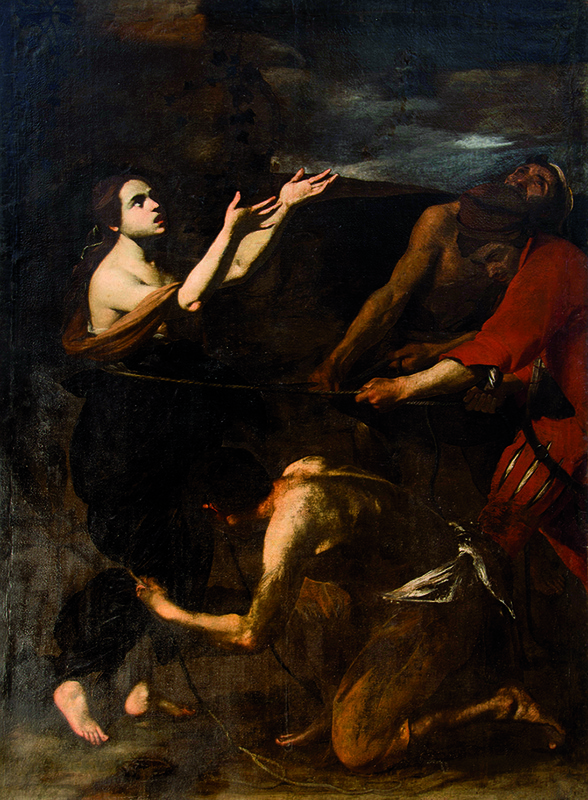 The scene depicts the Saint, tied by his captors who attempt to drag her while she resists with boldness to martyrdom. The image of the young Lucy, emerging from the dark background, is made with mystical sensuality.